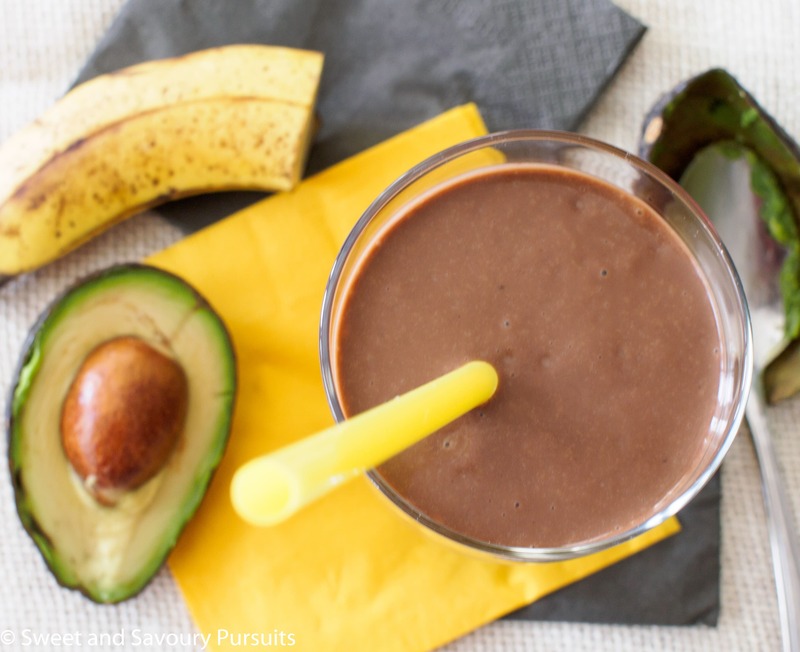 This delicious Avocado and Chocolate Smoothie is so chocolatey and creamy, it’s hard to believe it’s actually good for you! Smoothies have been popular for so long but I’m really just discovering how delicious they can be. I’ve been experimenting with different flavour combinations, there are so many possibilities! 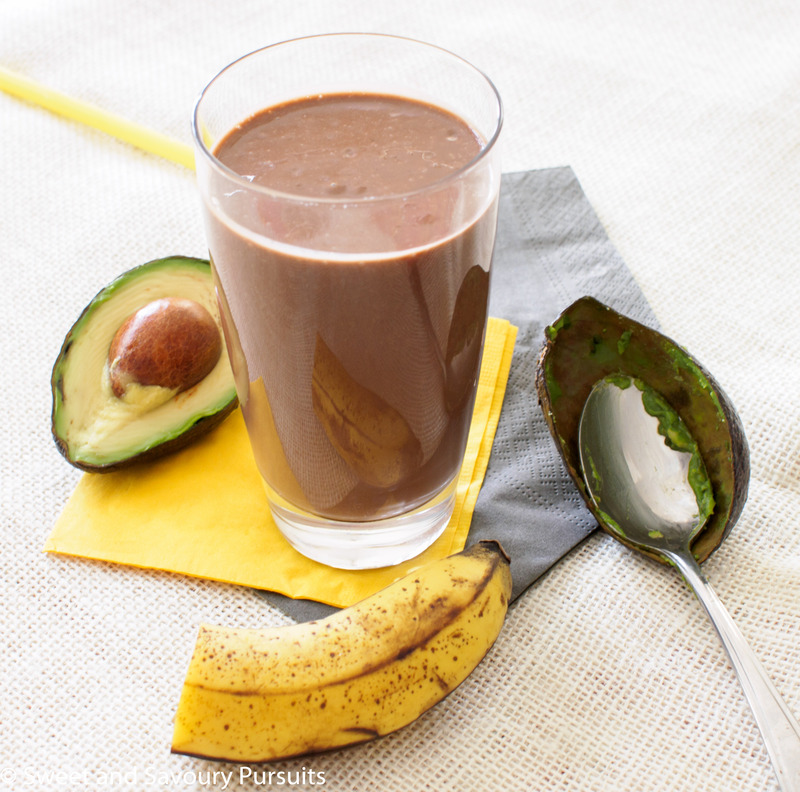 But for today, I’ll be sharing this Avocado and Chocolate Smoothie with you. It’s so incredibly chocolatey, creamy and delicious its hard to believe that it’s actually good for you! Did you know that avocado is a nutrient booster. Eating avocados actually helps your body to absorb more of the nutrients of the foods that you eat with the avocados. It’s also a great source of dietary fibre, and per gram, contains more potassium than bananas (California Avocado Commission, Live Science). For those who are thinking that avocado and chocolate could not possibly taste good together, you really should give it a try. Avocado on its own does not have a strong taste so it blends well with other flavours. Plus, all that creaminess makes the avocado perfect for use in smoothies. When making this smoothie make sure that you use a ripe avocado, using an unripened avocado will not blend well or yield a creamy smoothie. You can use any milk you like, but since some almond milks contain more sugar than others, remember to adjust for sweetness. Enjoy! 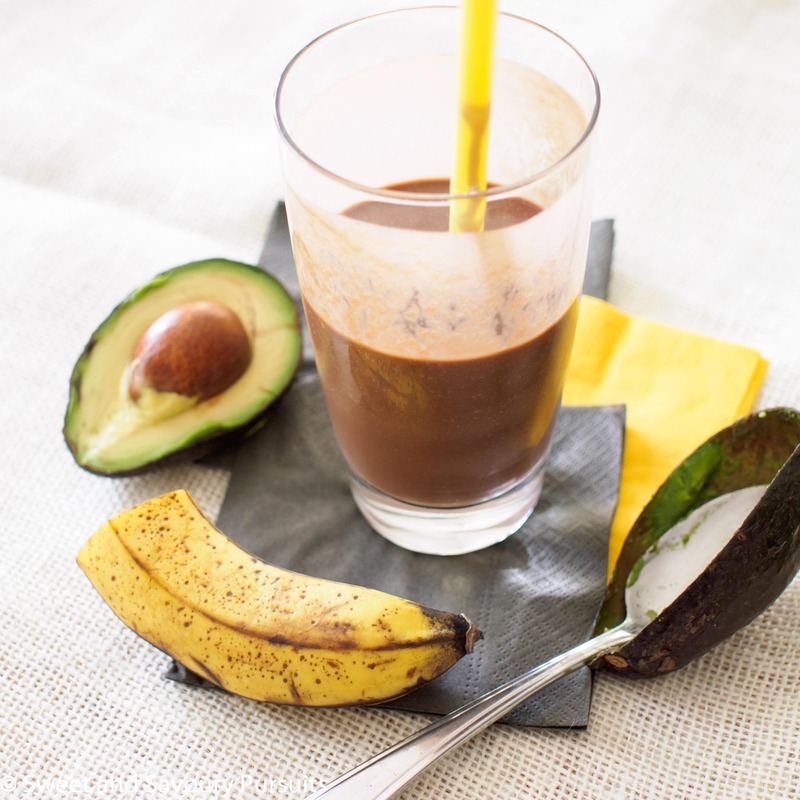 This delicious Avocado and Chocolate Smoothie is so chocolatey and creamy, it's hard to believe it's actually good for you! In a blender, add almond milk, avocado, banana, cocoa, honey, and 1 cup of ice cubes. We just love avocado. I bet it doesn’t leave much of a taste and is used mainly for consistency? My hubby doesn’t like bananas in his smoothie so this might be a great fix. Hi Julie, that’s right it really doesn’t taste like avocado, it just makes really nice and creamy. Perfect. I’ll be trying that for sure. Hello Tamara, so glad you tried the recipe and enjoyed it 🙂 I think many people hesitate to try it because of the avocado in it but it really makes it so delicious and creamy. Thanks for letting me know how it went and blogging about it! Crazy and totally amazing, all in one glass! Delighted to meet you at fiesta friday!! Thank you so much! Just took a peak at your blog and will be following you as well 🙂 Hope to see you at the next Fiesta Friday! This looks so delicious – and healthy too! Thanks for bringing this to the party! Two favorites combined! Like healthy chocco milk! Thanks for sharing. Party on. Hi there, great to meet you at this weeks party! And the smoothie looks luscious!!! Thank you so much for bringing it, I’m sure it will be very popular!!! YES avocado + chocolate is a match made in heaven. If it wasn’t so darn “nutrient-dense” I’d enjoy it all the time. I know there’s also a really yummy recipe for avocado brownies!! Oh, avocado brownies I would love to try that! Ooh, what healthy yet decadent treat! It looks delicious!